Parents today have the tough job of encouraging healthy eating habits, more exercise, less time on electronics and better grades. Add that to the age old challenge of raising kind, empathetic, focused children who have clear vision for what they want from life and the skills to achieve their goals. Parenting is hard and at Embody Balance we realize the importance of getting your child involved in healthy habits while they are young and offer tools and techniques to help! At Embody Balance we offer a variety of workshops for children of all ages and we can also work one on one in a therapeutic relationship with other children or with parents and younger children together. To discuss how we can best serve your child(ren), contact us to learn more. What are the specific benefits of kids taking yoga? Research studies point towards the practice of yoga and meditation as an aid towards reducing ADHD. The concentration required by yoga is thought to increase concentration and focus skills. Yoga also promotes calmness and inner peace, which all people can benefit from. Do you work in the education field? Coach a sports team or troop? We at Embody Balance would love to work with you to incorporate yoga classes, and/ or mindfulness programs at your school or organization. These programs can help a student focus on their studies while clearing their minds of other distractions. More and more Yoga and meditation are being incorporated into practice and game preparation for professional athletes in both team and individual sports. These Yoga practices which cultivate awareness and focus for peak performance, while building core strength, and flexibility can help athletes of all ages and abilities. The quiet revolution is here! Offering children, teens and young adults yoga and mindfulness practices we can change the alarming trend towards anxiety and stress related disease and offer hope for a more compassionate and solution oriented future. 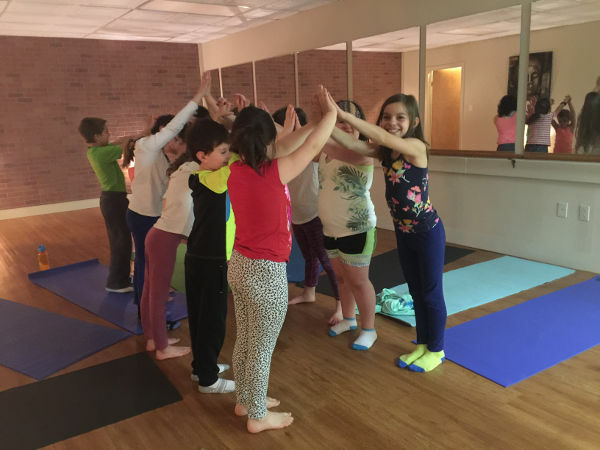 If you think your child would benefit from yoga in a group setting or one-on-one as a therapeutic approach; or if you would like to see yoga in your school, or as part of an extracurricular club please contact us at info@embody-balance.com.